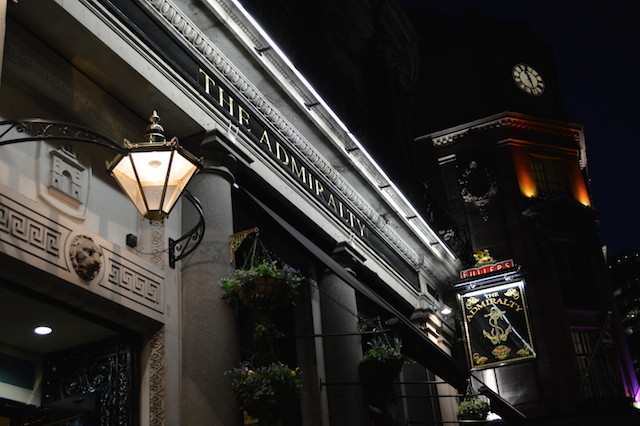 The Admiralty is the biggest nautical intervention to hit Trafalgar Square since the statue of Nelson. 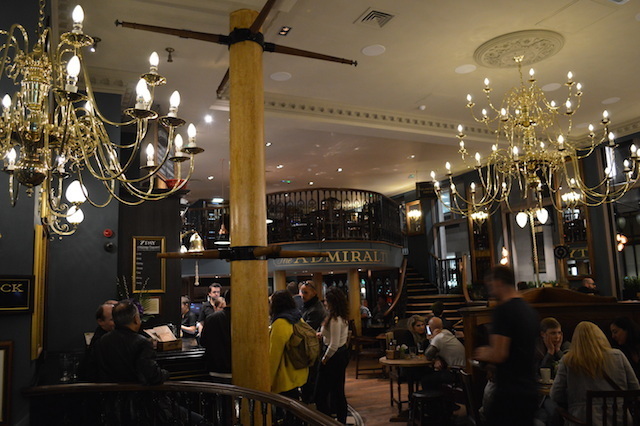 This great, golden battleship of a pub, inspired by HMS Victory, can be found in the south-west corner of the Square and, hence, is likely to be thronged with tourists during peak season. We can't say for sure, though, as it's yet to experience the hoards of summer visitors, opening in late October 2014 on the site of the old Albannach whisky bar. Given that official distances are taken from the nearby statue of Charles I, this might just be London's most-central pub. 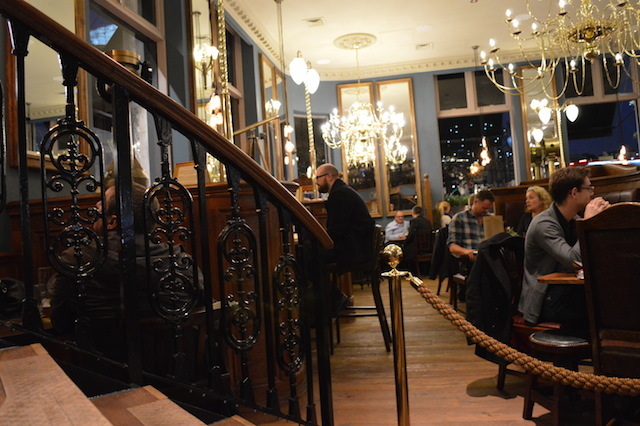 Fuller's are the new landlords, as is immediately apparent from the long row of draught pumps. Eight, in all, serving nought but the brewer's beverages — from the tried and trusted London Pride to the seasonal Red Fox. 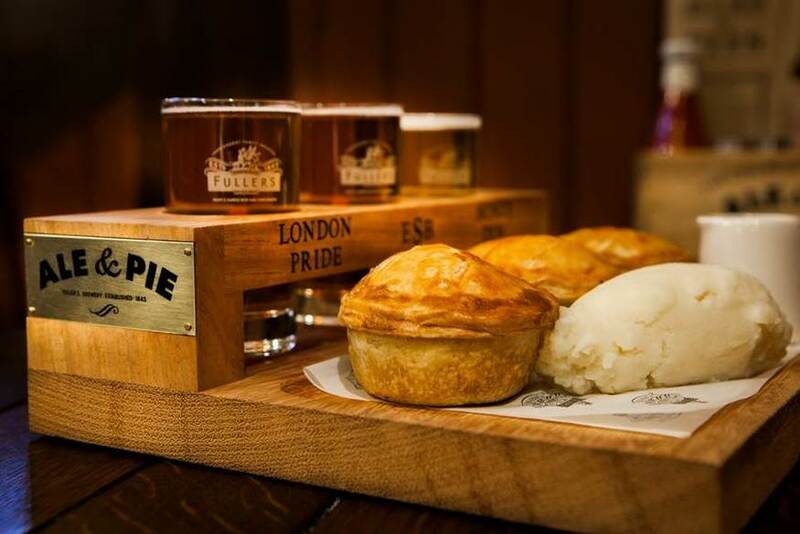 A fairly typical menu of pub grub should do the business, but we like the sound of the pie and ale tasting board, which matches these most important food groups on one handy platter, with three examples of each. 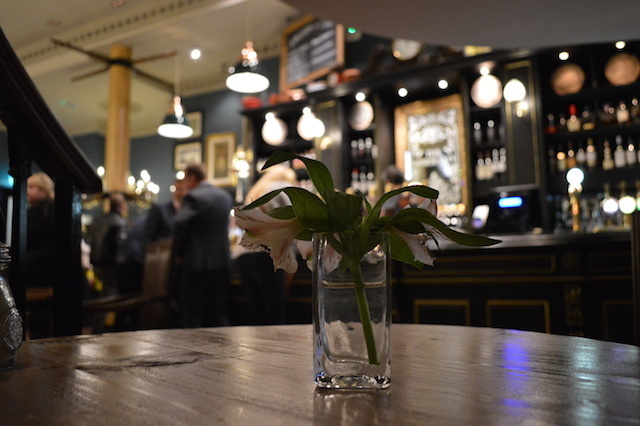 Whatever you eat or drink, you can't help but admire the surroundings in this spacious, decadent pub. Head up the curvy stair case for a bit more room and comfortable dining tables in an area resembling a poop deck. The basement, meanwhile, keeps the nautical theme going, with cannons and Nelson references. Somehow, it all remains the right side of tasteful. The ale and pie tasting board. Image via Fullers.